Admirable Chinese paintings by an anonymous Chinese painter from 19th century have been unveiled to our eyes. 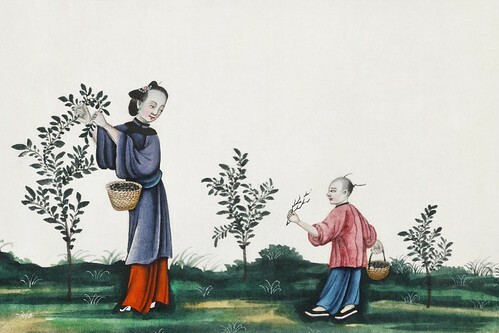 By using watercolor and gouache, these paintings feature the traditional daily life in China. Presenting the clothes that Chinese rural people wore daily, and depicting various types of ancient boats they used for their everyday transportation. Illustrations of vintage flowers, birds and fish are among the features as well.